Sweet Threads sells new and vintage children's clothing online and at their local store in Long Beach, CA. They opened their cyber doors in April 2012 and have been a beloved provider of children's clothing ever since. 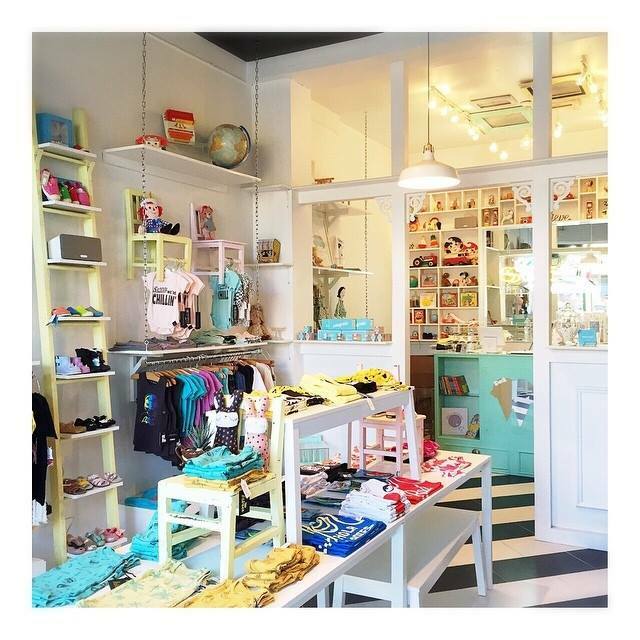 They offer a unique blend of hand- picked, vintage and modern clothing for kids. The Sweet Threads name was created by combining the inspirational sweetness of children and the cool, fresh threads that they always have in store. With a focus on combining vintage and modern styles, Sweet Threads offers children's clothing that is always distinctive and unforgettable. Sweet Threads is run by Paul and Shella Romey, husband and wife, with a passion for fashion. Shella earned her fashion degree and worked many years in the industry before deciding to start her own company. Her years of experience molded her into the innovative thinker and creator she is today! Together, they have created a children's clothing store infused with nostalgic pieces and modern styles. They hand-pick their pieces with modern domestic and international styles from the US, Europe and Asia in mind, so you can be sure they are always ahead of the trends! Sweet Threads carries girls' and boys' clothing ranging in sizes from infant to 8/10 years old. They provide many desirable and on-trend brands, including Mini & Maximus, Mini Rodini, Natives Shoes, Prefresh, Wovenplay, Kira Kids, Camp Wolf, Tiny Whales, Hatch for Kids, Lennon + Wolfe and many more. They also carry their own line of clothing called PAUSH, created especially for you by Sweet Threads. In addition to the brands they carry and create, they are always on the hunt for special treasures by rummaging through flea markets, estate sales and thrift shops. They also love to support and carry small, hand-made businesses, because of the unique flair they always provide. With everything they put into the shop and online store, you are sure to find beautiful children's clothing that will always be cherished.